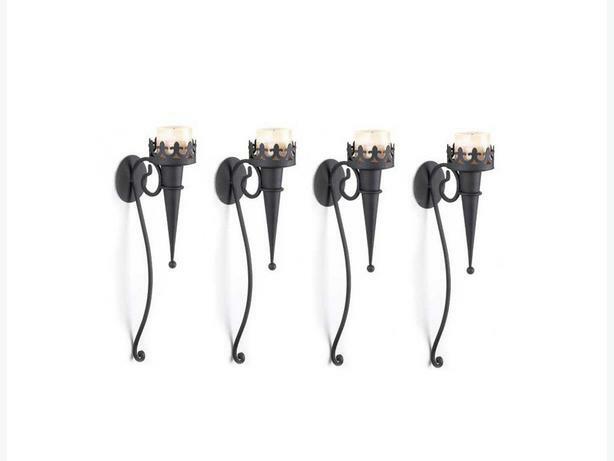 These, unique, torch-style, metal candleholders have a matte-black finish giving any area a dramatic touch of gothic finery. Price is for 4 (candles & mounting screws not included)...4" x 6.5" x 18.75" tall & weigh just over 1 lb. each! Be sure to check my other ads for coordinating candelabra, they make fantastic centerpieces for gothic weddings!